Get landscaping tips delivered right to your inbox. 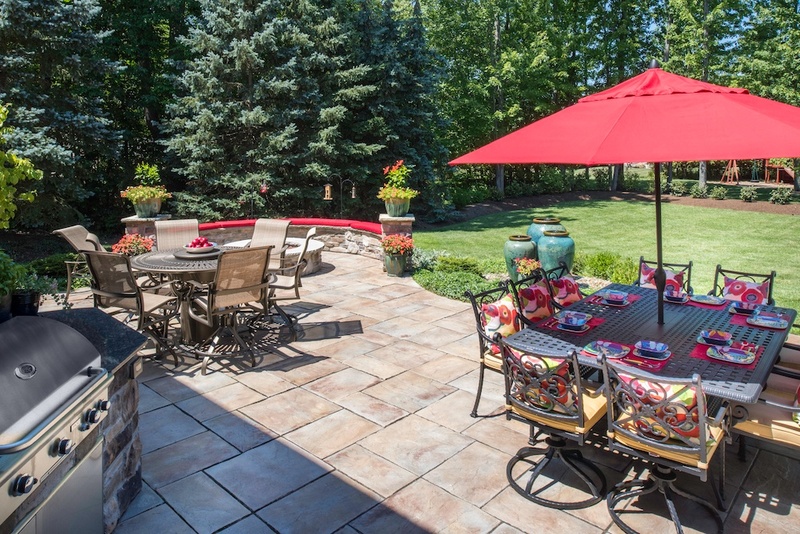 As a homeowner, your backyard space should be a place where you want to spend time and entertain guests. While many homes have the space to accommodate this, it takes the right design to balance purpose with cohesiveness. 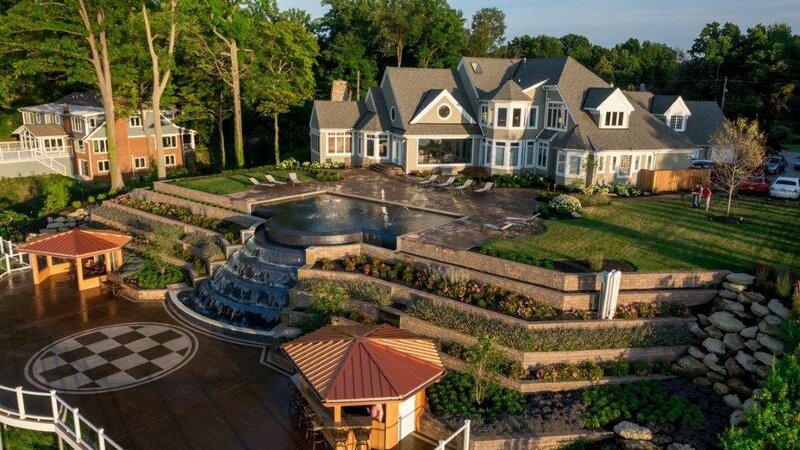 After seeing some of the work that Green Impressions had done on a neighbor’s backyard, one Westlake homeowner knew they had found the right company for their backyard landscape design project. In its original state, the backyard landscape featured a deck that went off the house and down into a patio area. While this provided some room for outdoor living, the homeowner felt that the space was somewhat disjointed and could be much better utilized. To make this a reality, our team of experts combined their creativity with a trained eye. 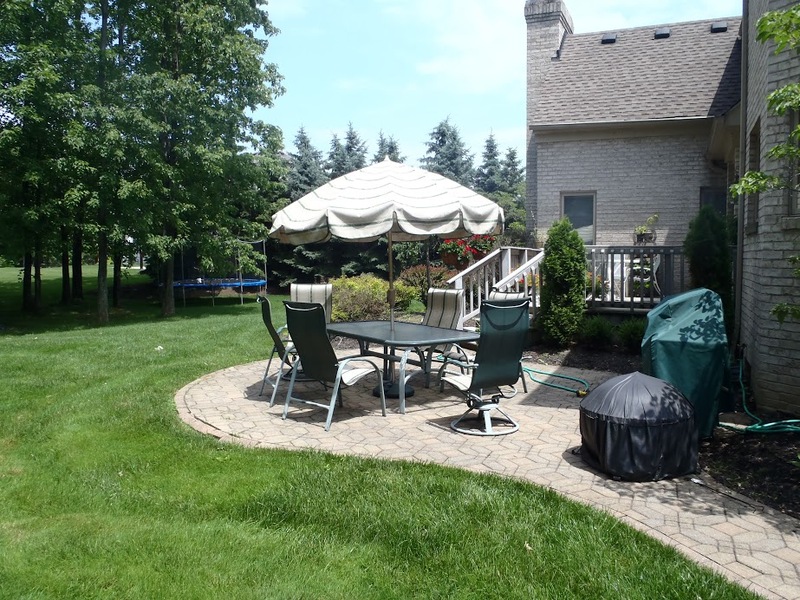 We began by removing the existing deck and installing a new stone patio, fire pit area and walkway. Various elements of the space — the steps, grilling station, fire pit, seating walls and columns — were constructed from masonry with a cultured ledgestone veneer. For a modern feel, the outdoor space was equipped with top-of-the-line appliances and technologies. The list includes the installation of a 36” AOG grill with granite countertops and Vista LED landscape lighting. New landscape plantings and water features in glazed ceramic pots added to the charm and tranquility of the backyard. This same sentiment was reflected in the custom-made walkway arbor that first invites you into the outdoor oasis. With this new backyard landscape design, the homeowner now has a space that is both functional and beautiful. This has prompted them to spend more time outside, whether it’s relaxing on a sunny day or inviting over family and friends. 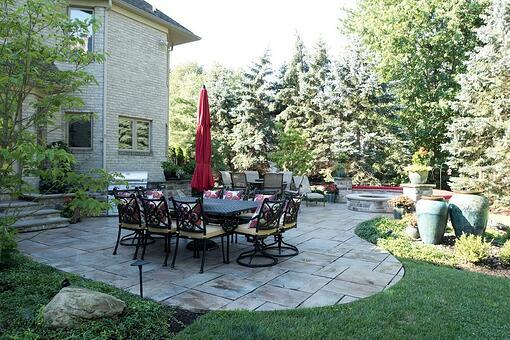 Thinking about a new backyard landscape design? Bring your design ideas to Green Impressions and our team of experts will help bring your creative vision to life. Contact us today for details. Keep your lawn in great shape year-round. Schedule a free maintenance estimate today.